Henry VIII always had problems with women. Born on 28 June 1491, he lived in the shadow of his elder brother Arthur and his dour and autocratic father, Henry VII, may have intended him to be a proud prelate of the church. The young prince was not allowed to leave Greenwich Palace unless accompanied by specially-appointed courtiers. No one dared speak to him and he spent his youth a virtual prisoner in a room off the king’s bedchamber. Elizabeth of York, Henry’s mother, died when he was 12 and thereafter, he lived under the thumb of his formidable grandmother, Lady Margaret Beaufort, who beneath that nun-like pious exterior was the arch-conspirator of the last days of the Wars of the Roses. Everything changed when Arthur – named after King Arthur of the Round Table - died of tuberculosis at Ludlow Castle on 2 April 1502, less than six months after his marriage to the Spanish princess, Catherine of Aragon. Henry, Duke of York from the age of three, now became Prince of Wales. Henry VII died on 22 April 1509 when his new heir was nine weeks away from his eighteenth birthday. His grandmother acted as regent until his birthday and he married his brother’s widow, Catherine on 11 June, two weeks before their joint coronation. The new king was 6ft. 3 ins. tall, ‘the handsomest potentate I have ever set my eye on with an extremely fine calf to his leg,’ reported a foreign diplomat. ‘Hitherto, small mention has been made of Henry, whereas for the future, the world will talk of him,’ commented a Venetian merchant in London. Henry VIII nurtured ambitions to bestride Europe as a new political giant and yearned for military glory. While he was fighting a war in France, the defeat of a Scottish army on 9 September 1513 by an outnumbered English force under Thomas Howard, Earl of Surrey, was a stunning victory - wiping out not only the Scottish king James IV, but many of his nobility, together with 8,000 other ranks. James’ blood-stained and tattered tabard was triumphantly sent as a battle trophy by Catherine of Aragon to Henry in France. Catherine suffered a number of miscarriages of male babies and finally a daughter, Mary, was born on 18 February 1516 at Greenwich. Henry became frustrated and angry at his lack of sons and his attention began to wander. Some time between the end of 1525 and the middle of 1526 he fell passionately in love with the flirting, ambitious Anne Boleyn. At the age of 35, the sands of time for youthful frolic – his ‘past-time with good company’ – had at last run out. To achieve his heart’s overpowering desire, the executions had now to begin. · The book will following the same successful narrative style of the critically-acclaimed Last Days of Henry VIII, Elizabeth’s Spymaster and Thomas Cromwell, to provide readers with an unique and compelling vision of the sights, splendours, and tragedies of the royal court, presided over by a proud, magnificent and ruthless monarch. "This is an enjoyable unfussy history which explains a lot about the man who became Henry V111...Robert Hutchinson vividly shows us the monster in the making and teaches us to feel a modicum of pity for his plight." " Robert Hutchinson has gained a reputation for engaging and accesible prose based upon impressive scholarly research and this latest book does not disappoint.... it provides a compelling new analysis of the influences that shaped Henry VIII's childhood.... Hutchinson adds a vital human dimension that is often lacking in the more conventional political histories... and brings the future king's personality vividly to life, with all of its brilliantly contrasting and capricious elements." " Robert Hutchinson has produced a biolography that shines a light on Henry's youth and details the people and the events that drove him... it is good to be reminded of the evils of absolute monarchy. And this book does that in a highly readable way." "...scrupulous and readable appraisal of the monarch's early years...this fine biography offers a lucid view of the forces that shaped his complex personality." 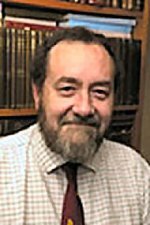 "...his fifth book on Tudor England should still please those fans of the salacious television series The Tudors who would like to set Henry’s early reign in its proper factual context. Hutchinson delves into the forces that shaped Henry VIII from his birth in 1491 to the birth in 1533 of his daughter Elizabeth. 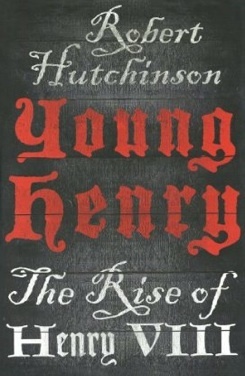 Hutchinson is admirable at pulling out amusing tidbits from the primary sources he obviously plumbed to write this breezy account of how Henry’s cloistered youth influenced his public role as monarch."